Inspired by the tropical flavors of Cat's favorite island town. 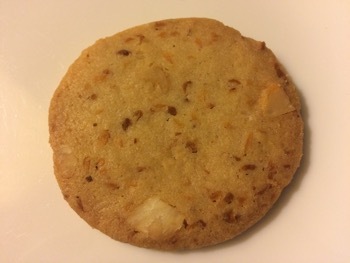 Brown sugar shortbread with toasted coconut and crunchy, creamy mac nuts. Bring paradise to your palate with a batch of these!